For any Marvel fan, the release of the next action-packed superhero movie from the studio is always a big deal. 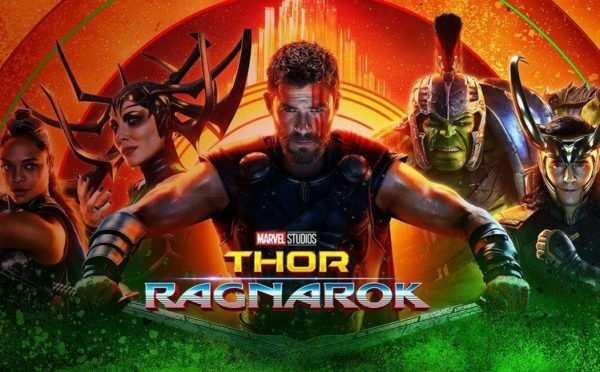 So it’s no surprise an advanced screening of the incredible Thor: Ragnarok at the Pacific Theatres at the Grove in Los Angeles was a complete sell-out. 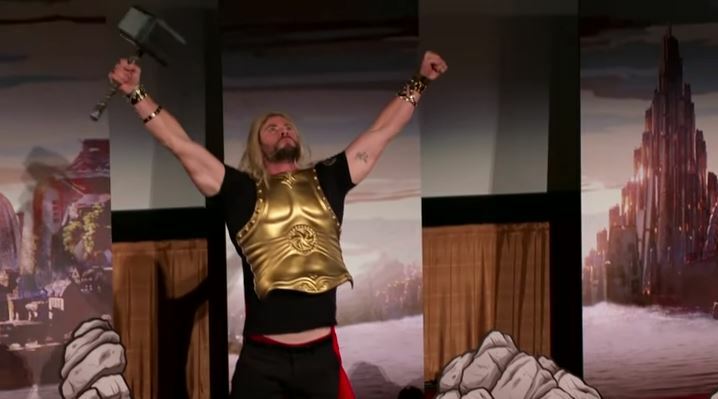 The excited audience got a little more than they bargained for though when the entire star-studded cast of Thor rocked up to put on a budget live play version of the hit film. In the stunt which was performed for The Late Late Show With James Corden, the very lucky but unsuspecting moviegoers saw the movie being interrupted during the very first scenes by the chat show host himself. Hello everyone. I’m television’s James Corden. Now you are probably wondering, ‘what happened to the movie I was just watching, Thor: Ragnarok?’. Well what you don’t know, is that tonight you have purchased a ticket to the future. Ladies and gentleman please welcome live on stage, it’s television’s James Corden. That man really is as irritating as ever! Walking on stage to a rather stunned audience, Corden then waited as some crew members set up some rather crude props around him getting ready for the play. The host then began narrating the budget version of the film bringing out each member of the cast in their movie roles starting with the God of Thunder himself, Chris Hemsworth. A screaming audience only got louder as Tom Hiddleston walked out as Like, Cate Blanchett as Hela, Jeff Goldblum as The Grandmaster, Tessa Thompson as Valkyrie and Mark Ruffalo as Bruce Banner a.k.a. The Incredible Hulk. Joking that what the audience was seeing was the future of film, something Corden called ‘4D’, the actors really gave their school play version all that they had and amazingly they did not crack up once. A clueless Hemsworth questioned what exactly ‘is 4D cinema again’ and Hiddleston also queried whether it was ‘a practical business model’. I think those people just want to watch the movie. Sure, the movie is great but this play version is one of the best things the internet has seen all year and the audience seemed to agree. Highlights include Blanchett crushing Thor’s flimsy cardboard hammer, Hiddleston’s greasy black wig falling off, Goldblum entering the stage on a scooter, Blanchett’s cuddly guard dog and Ruffalo struggling with his giant Hulk hands. That was such a rush. I want to do all my movies in 4D. Do we know what 4D means? Thor: Ragnarok 4D gets 10 Goldblums out of 10 Goldblums, which is my highest possible rating. Speaking on behalf of Marvel fans across the world, we would very much welcome more of these pop-up plays as they look incredible.